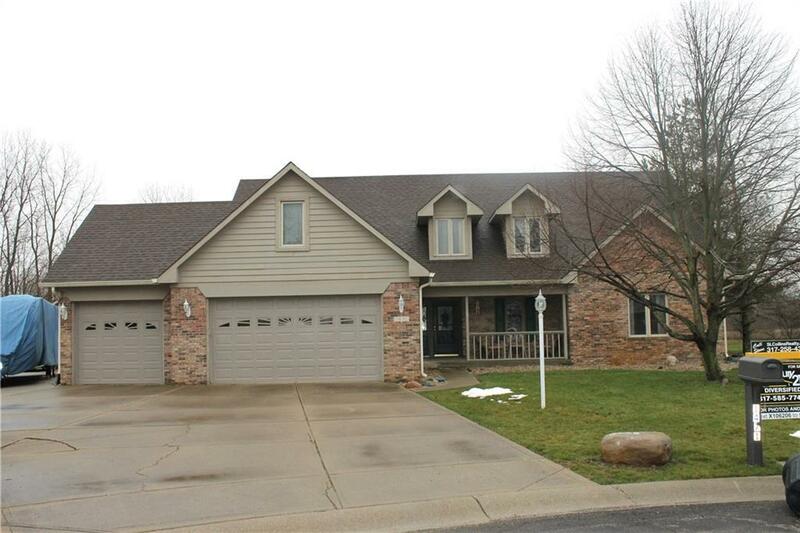 Beautiful & Spacious 5 Bedroom, 3 Full Bath Home with Master on Main Level. Open Great Room with Hard Wood Floors & Gas Log Fireplace. Plenty of Counter & Cabinet Space with Breakfast Bar & Dining Area. Large Laundry Room with extra storage shelves. Expansive Family Room Upstairs for play or getaway. Bonus Room could be an office, craft room or even 6th bedroom. Large Cul-de-Sac Lot with In-Ground Pool, 24x60 Detached Garage, private pond & nothing but open fields behind. Updates include: Roof in 2013, Kitchen Counter tops 2018, HVAC in 2012, New Dish Washer. HWA Home Warranty Provided. Bring us an Offer.